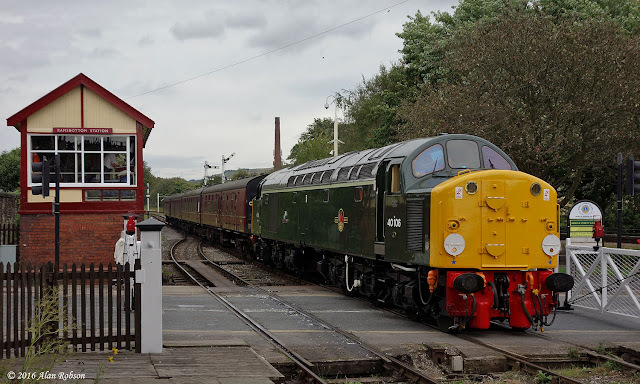 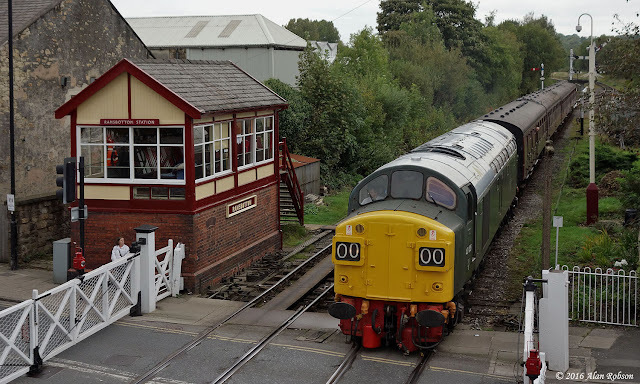 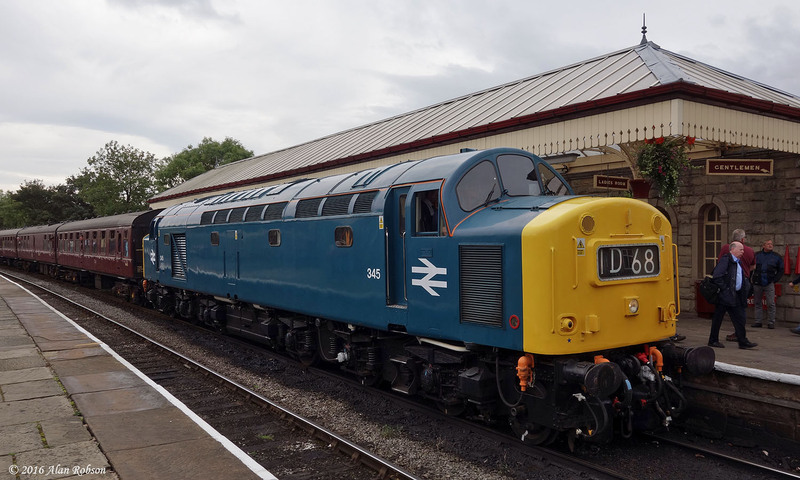 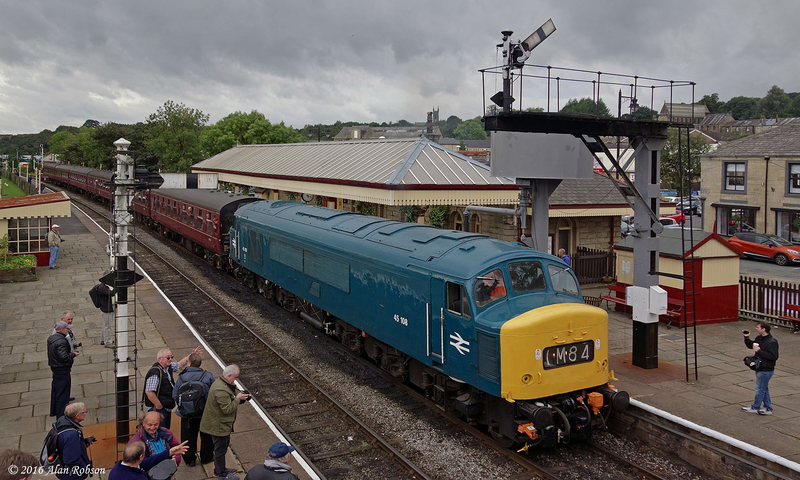 The 2016 Autumn Diesel Gala at the East Lancashire Railway took place over the weekend of 24th & 25th September. The highlight was undoubtedly the rare spectacle of four operational preserved Class 40 locomotives making an appearance at the same event. The locomotives in question were 40106 'Atlantic Conveyor', 40135 and 345 (40145), based on the ELR and belonging to the Class 40 Preservation Society, and the immaculate D213 (40013) 'Andania', which was making a guest appearance for the weekend. 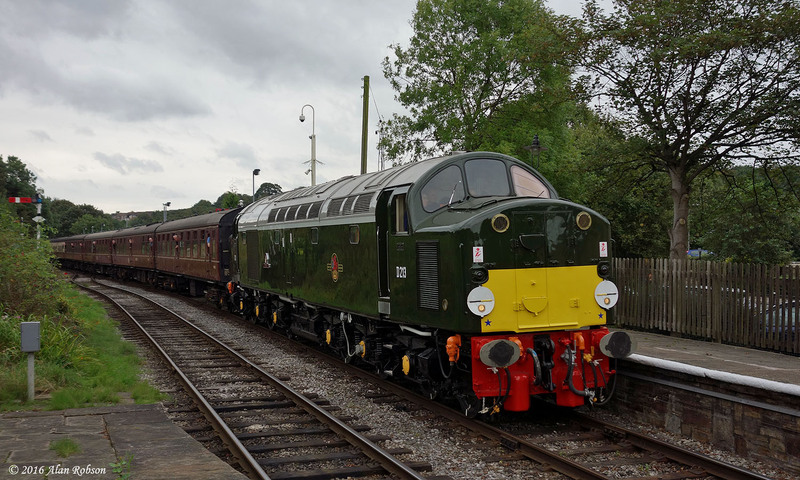 Also in use over the weekend were Sulzer powered Peak 45108 from the Midland Railway Centre, Class 37 37109, Class 50 50015 'Valiant', Warship D832 'Onslaught', Hymek D7076 and former EWS Class 31 31466. 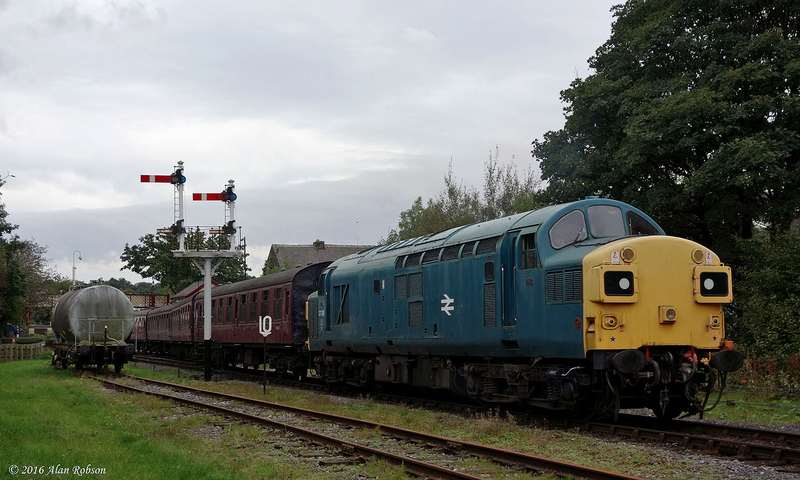 The photographs accompanying this report are a selection of the first generation BR diesels that were in use on the Saturday. Blackpool Transport Services new Palladium branded ADL Enviro 400 City buses have begun to appear in service with side advertising. 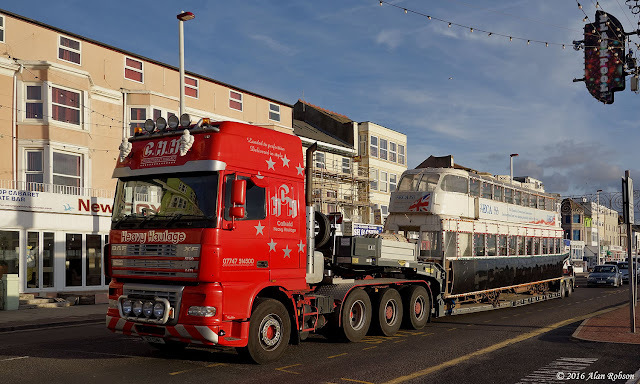 401 was noted recently carrying a side advert for the mobile phone company EE. 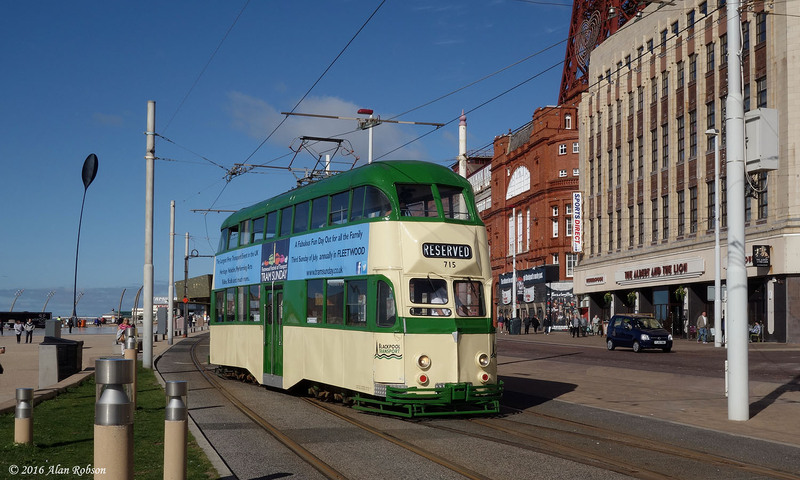 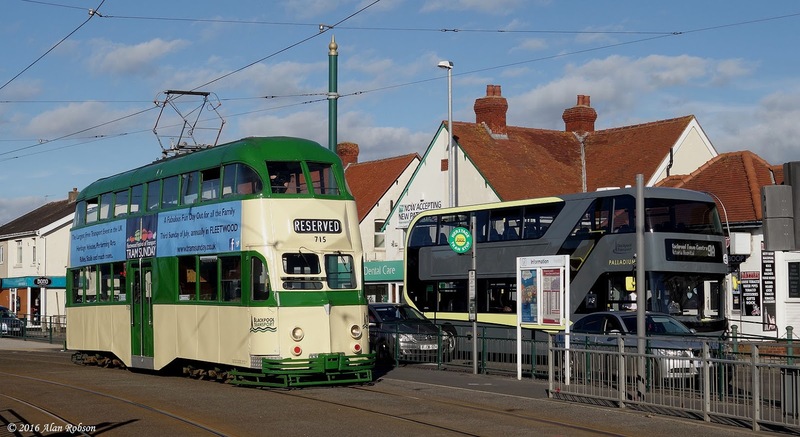 Hovertram 735 has returned to Blackpool for a period of extended loan. 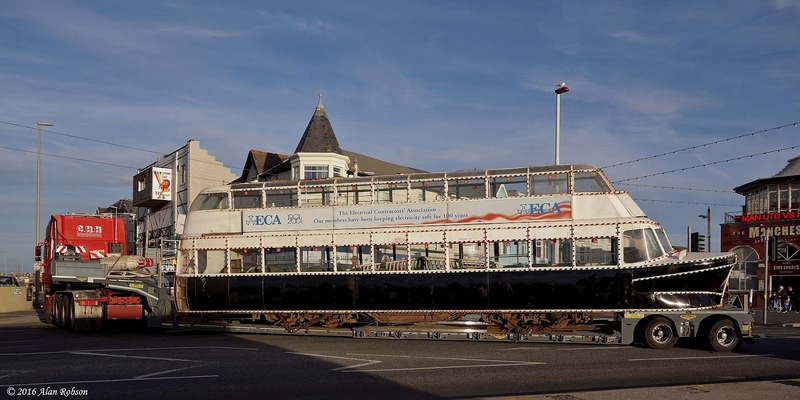 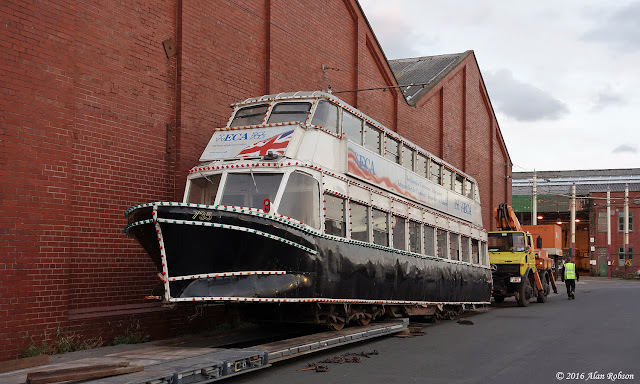 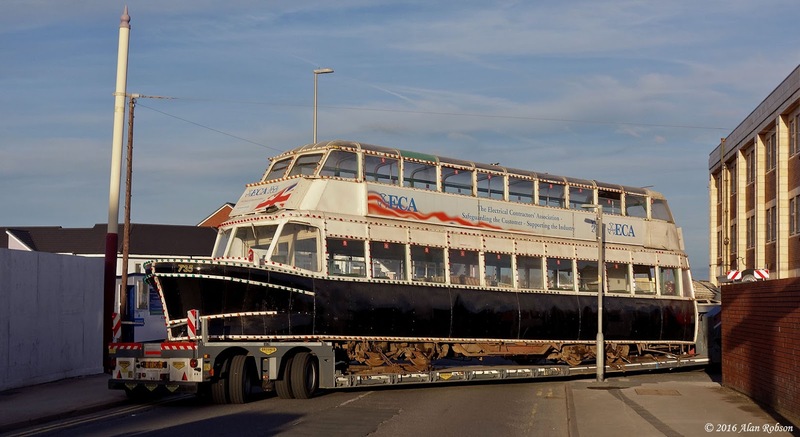 The tram was transported from its former home in Sunderland by Calkeld Heavy Haulage on 22nd September, arriving in the resort shortly after 6pm. 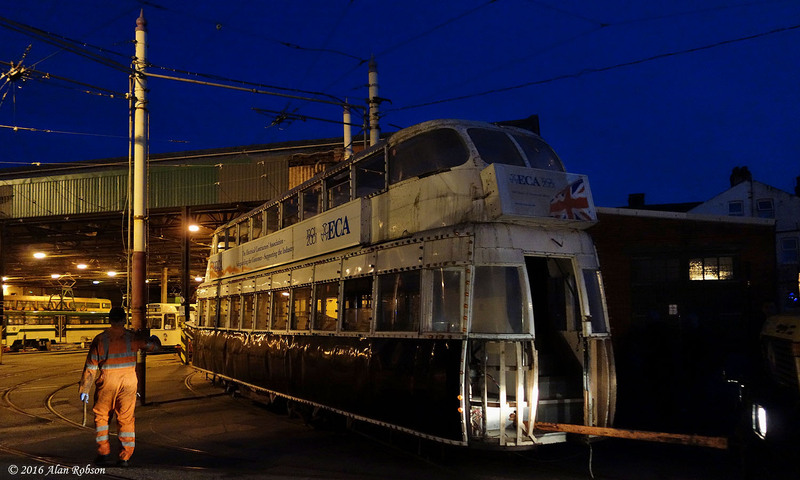 The unloading process took around an hour, and later that evening the Hovertram was shunted into Rigby Road depot by Unimog 939. 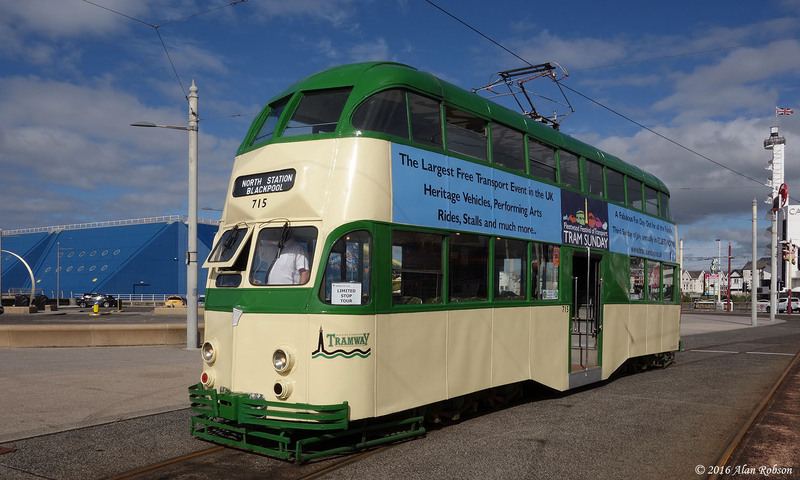 The North Eastern Electrical Traction Trust (NEETT) have agreed that 735 can become part of the Blackpool Heritage Trust fleet for a minimum period of 20 years. Railcoach 680 and Balloon 715 were used for a private hire on Monday 19th September. 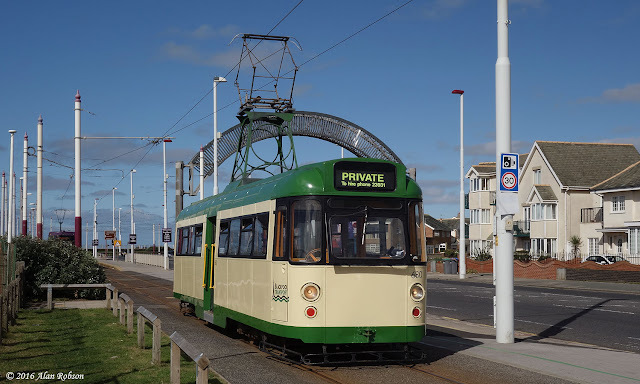 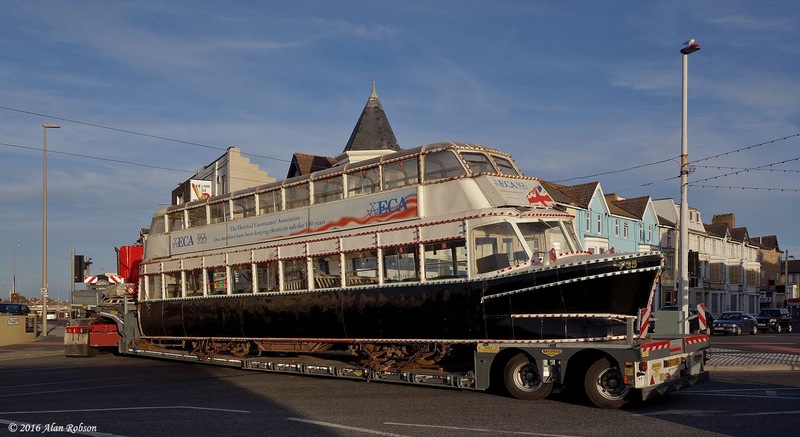 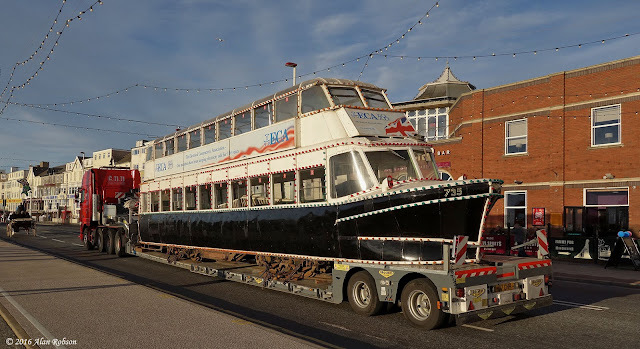 In the morning 680 made a tour of the system from Rigby Road depot to Pleasure Beach, Fleetwood and Starr Gate, before returning to the depot for a crew break. 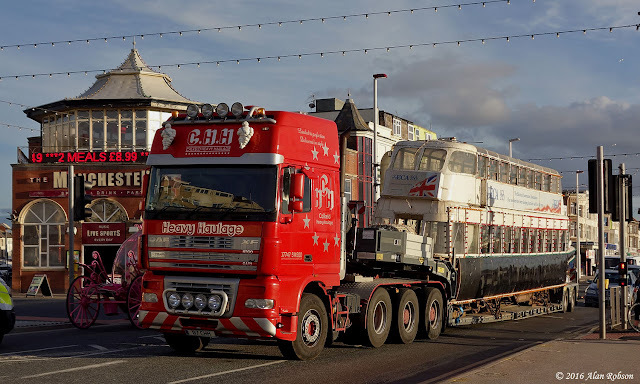 After lunch it was the turn of Balloon 715 which made various runs, venturing as far south as Starr Gate and Cleveleys to the north. 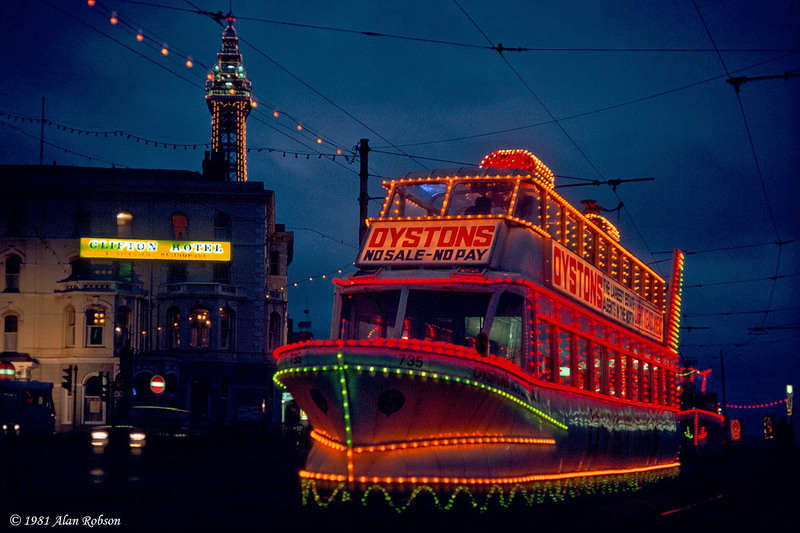 Marton 31 was also hired for an evening run through the Illuminations. 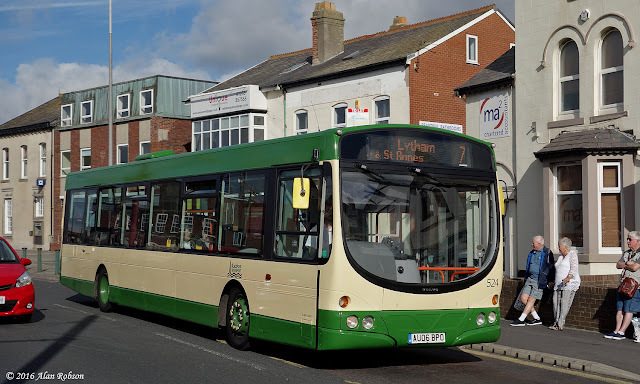 Wright Eclipse bodied Volvo B7RLE No. 524 has been painted in a 1990s style green and cream livery to commemorate 30 years passing since Blackpool Transport Services was formed. 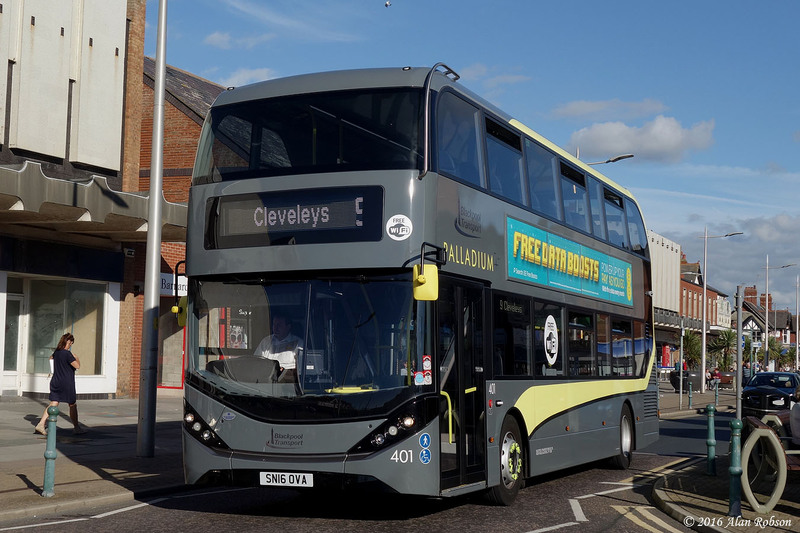 524 has been in use on the service 7 between Cleveleys and Lytham for the last couple of days.